With the new renovation completed, Livewire is now celebrating it's 12th year in Manhattan's Tribeca district. Livewire features a main live room, drum booth plus 2 vocal booths. 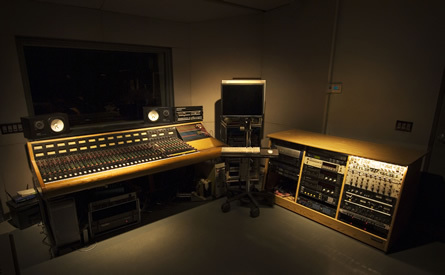 ProTools HD, Trident Series 70 console, Logic 7, Final Cut Pro, Komplete 3, as well as classic Instruments and gear such as Steinway, Hammond, Gretsch, Neumann, Avalon etc. Just added, The Furman HRM-16 Cue system allowing each musician to custom mix their headphones. Subway: 1,2,3,9,A,C and E are within a block and a half. We're also close to the N,R,4,5 and 6 as well as PATH. By Car: A block and a half from the West Side Highway. Nearby, an excellent choice of restaurants and shops.